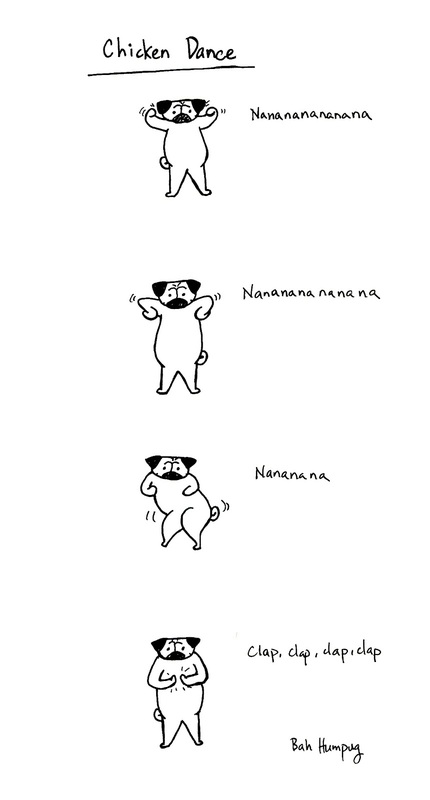 Here's a pug showing you the complicated moves for the chicken dance. I was running out of dances to draw and Boodapug suggested the chicken dance! While there aren't really words to go with this I figured I could just do the "nanananananana" sounds for the song part. Ooo, shake that tail feather, lil' pug! 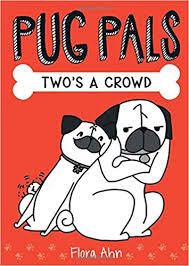 I LOVE the third pug wiggling his bum! Puggy chicken dance too funny! 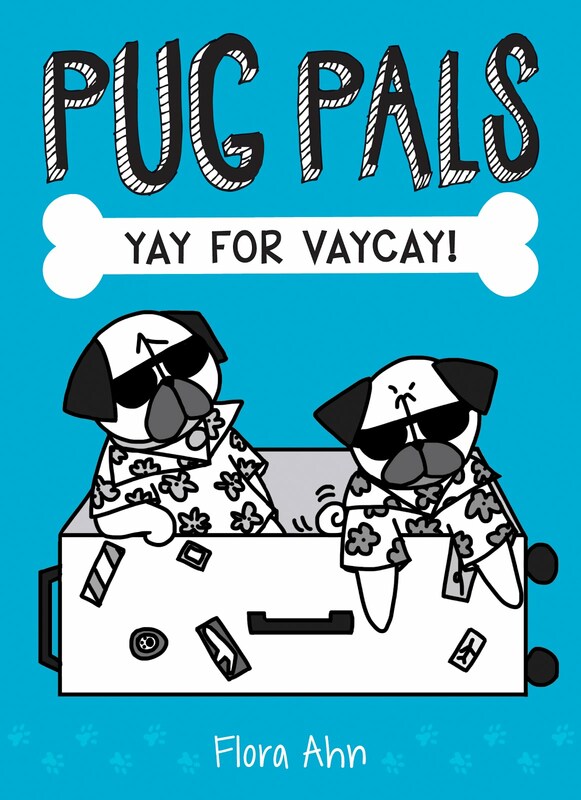 Haha the pug wiggle is my favorite part too! After drawing this I had the song stuck in my head all day!